While finding a couple of new stars like Dior Addict Fluid Stick (reviewed here) and Lancôme Lip Lover (reviewed here), I also have been adding more colors to my exiting favorites. The more I think about it, having color varieties in the preferred formula makes more sense. That is, of course, if buying more lippies ever makes sense in my situation. (Ahem,) so I bought another color after my satisfactory experience with L'Oreal Extraordinaire Liquid Lipstick in Pink Tremolo (reviewed here). My opinion about this range is unchanged. This is a great liquid lip color with superb pigmentation, and its lip-smoothing effect is a sort of amazing. It is super moisturizing and comfortable on, too. A solid drugstore ace except that it is rather heavily scented. However, a person's preference is a weird thing, I tell you. Extraordinaire is scented with something much stronger compared to Lancôme Lip Lover, and I still prefer the fragrance in Extraordinaire where I get a tinsy bit bothered by Lip Lover's. The simple color-coded gold tube that is borderline gaudy. The bigger and fuzzier applicator is actually perfect to evenly distribute this particular liquid on the lips. 403 Purple Prelude is, well, a medium purple with cream finish. The high-shine finish is very similar to Pink Tremolo, but Purple Prelude is slightly sheerer and not as loud, which makes it much easier to wear. It lacks the wow effect of Pink Tremolo, though. I still prefer the Wet Shine Stain range (my all time favorite from drugstore offerings) mainly because it feels lighter and lasts a little longer on my lips than the Extraordinaire. I would probably wear my Extraordinaire less often as the weather gets warmer. To me, this is a richer and heavier version of Lancôme Lip Lover, which seems more suitable for the colder months. Here is an overall look with Purple Prelude. I'm wondering if I have to start wearing the HD finishing powder on my neck, too. Ugh. Truth is that I have been sporting L'Oreal Extraordinaire Purple Prelude quite often lately. I blame the winter/spring weather limbo in NYC, but I must say a right kind of lippie makes it bearable. Almost. 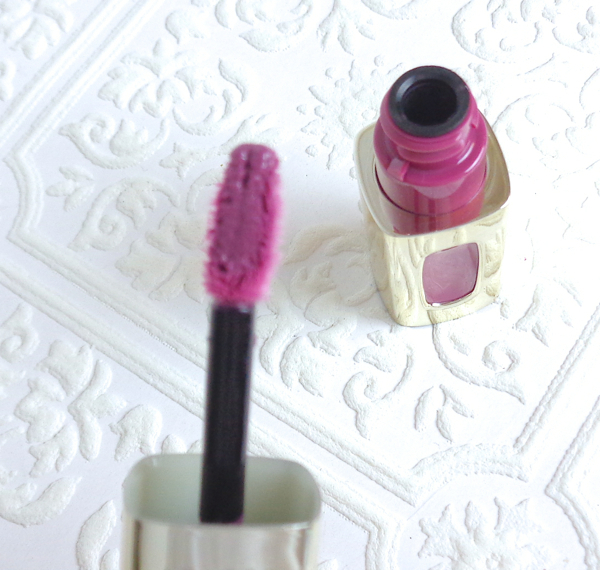 Have you tried L'Oreal Extraordinaire Liquid Lipstick? Such a beautiful shade - it really suits you! Glad to hear these are moisturising too as I dislike when lip products highlight dry lips. This is one of the most hydrating lip colors I've tried. 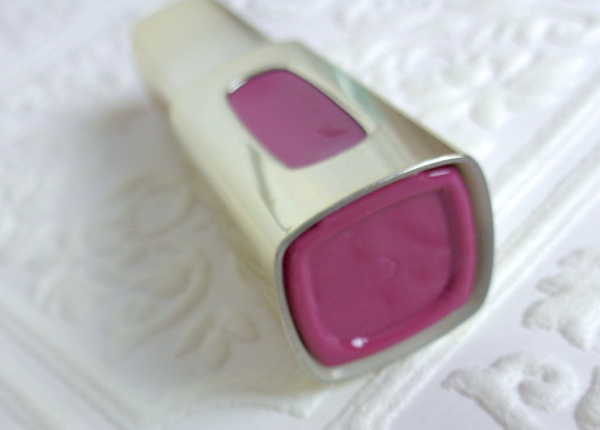 The thick consistency could be a downside, so the Lancôme Lip Lover would be a better choice. What a perfect shade for the spring/summer =] Looks great on you, and yes, drugstore addition doesn't really hurt :P I haven't tried it yet, but your reviews make it sound like something I need to get my hands on asap! Really? I barely smell anything with the Lancome Lip Lovers hahaha! These however, really smell to me! All of L'Oreal's lipsticks really smell to me though. Different noses! Lovely shade on you! You wear berry colours so well Lena! They are just made for you! I know, right? ;D I can't even smell anything once Lip Lover is on my lips, but it does bother me for 2 seconds. On the other hand, I don't really mind the boozy wine/rose scents from the Extraordinaire or even YSL Glossy Stain. I agree L'Oreal has to tone down fragrance on their lippies. Colour Riche lipstick really bothers me, for example. The Lip Lover has a slight smell but it doesn't bother me too much. I know the L'Oreal smell though :P It seems so unnecessary. Lena, this shade is so beautiful!!! Oh, in that case, definitely get another Lancôme Lip Lover! I am about to get one for the summer, but from the sound of it, I might not like it for the summer. I just bought a maybelline fluid lipstick and really like it. I don't like the taste of it necessarily, but I am hooked on this formula for sure. This definitely is a step down from the POP of the pink one but I absolutely love a wearable purple shade like this! It's so wet looking which is lovely but I'd be a bit worried if it bleed out of my lipline before it dried a bit more! It definitely looks great on you and those cheeks of your are just glowing soo beautifully! Love your look! 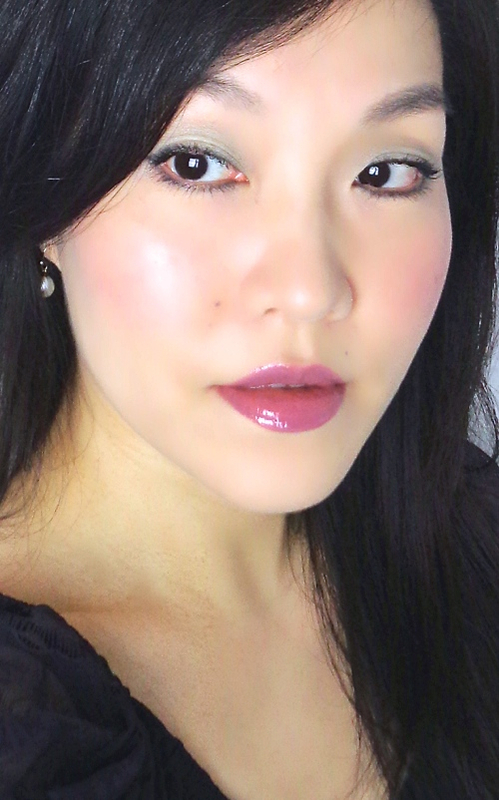 The NARS blush has very pretty mauve hues, which I find a nice match with Purple Prelude. If only I could wear L'Oreal lip products!! I can't stand the scent so I stay far far away >_< This looks absolutely gorgeous! good that you mentioned this one has a scent. Ever since my bad experience with the Rimmel apocalips, I need to sniff every single lipstick before I purchase. This shade is so pretty, perfect for spring. The fragrance is quite strong. 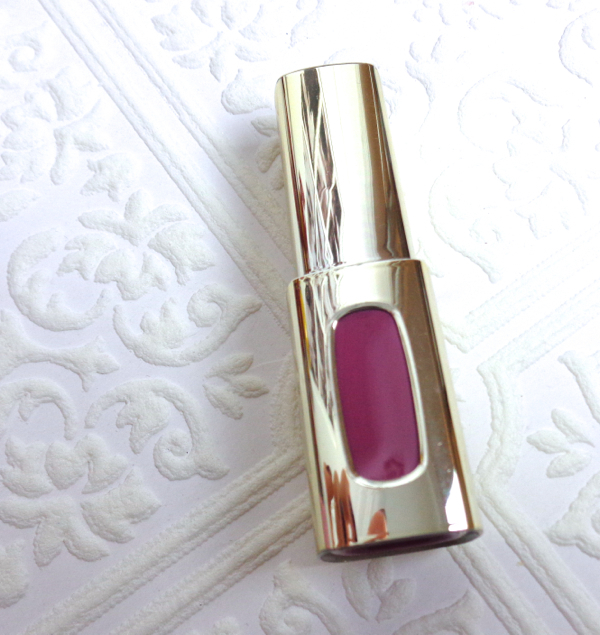 Something like wine and rose which is similar to YSL Glossy Stain. This shade wears beautifully on you Lena! I think you could totally rock this into the warmer months, it's such a gorgeous colour and it compliments your complexion so well! I guess you're right, Stacey. :) This color can be sheered out if needed. Colorwise, I didn't have anything similar to this, so I'm quite happy to have Purple Prelude.